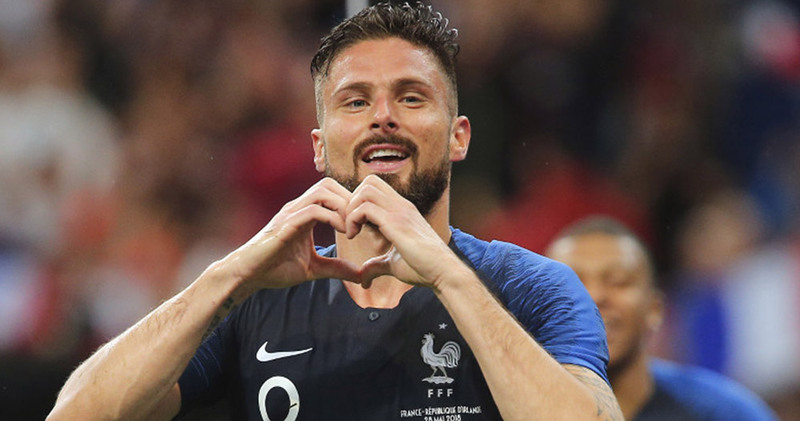 The premier league star, and LGBT+ advocate, Olivier Giroud, opened up and said that it is “impossible” to be openly gay in the football world. News 16 November, 2018 . Written by Guilherme Souza . The Premier league star, Chelsea striker and LGBT+ advocate, Olivier Giroud, has said that it is “impossible” to be openly gay in the football world. Giroud told French newspaper, Le Figaro, that it was “very emotional” for him when German player Thomas Hitzlsperger came out in 2014. It made Olivier realise how difficult it is to be gay in the sports scene. “This is when I told myself that it was impossible to display his homosexuality in football,” said the Premier League star. There are no LGBT+ Premier League footballers out of the closet presently. In 2014, a few months after coming out, Hitzlsperger, who is still the only Premier League footballer who opened up about his sexuality, said it would have been “impossible” to come out as gay while playing for many reasons. Giroud, who has been an advocate for the LGBT+ community since he posed for the front cover of gay magazine Têtu in 2012. He believes there is still a long way to go before players feel comfortable enough to come out. He said, “I can understand the pain and the difficulty for guys in coming out, it is a real challenge and it takes a year of work on yourself. “I am ultra-tolerant on it, when I joined Montpellier, I got involved in the fight for tolerance and was on the cover of Tetu, which is a French gay magazine. 16 November, 2018 . Written by Guilherme Souza .